This script allows you to add a Twitter widget to your site. The widget will display messages from your Twitter.com account. • showProfileLink – defines whether to show a link to Twitter.com account. 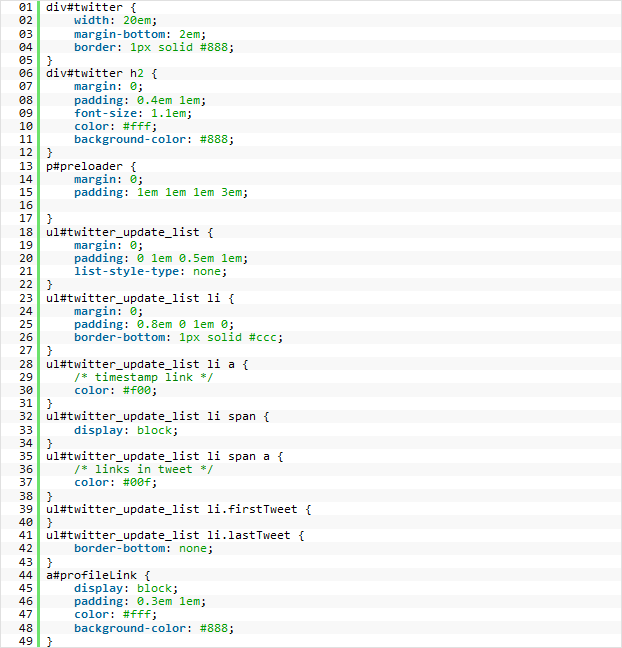 As you see, all the markup consists of a single <div> tag with #twitter id and .twitter class.